Pulpit Rock in Bedford, NH is a glacial relic, a giant pothole in a tiny stream carved into the bedrock by the flood of an ancient lake. 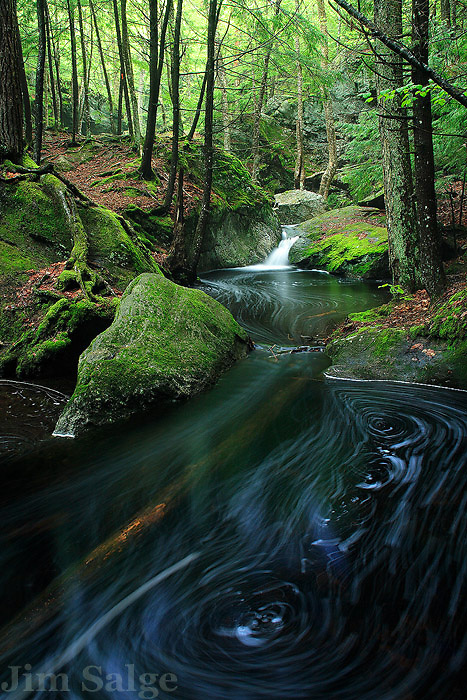 Below this interesting geologic feature, the brook takes on the character of a beautiful forest stream. A long exposure accentuated the eddies in the water and the spring green in the trees.